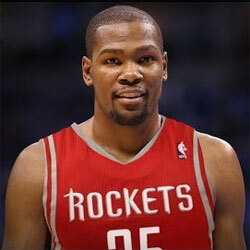 Jalen Rose feels Kevin Durant will join James Harden in Houston in a few years. David Weiner adds a dose of cap reality to the prediction. 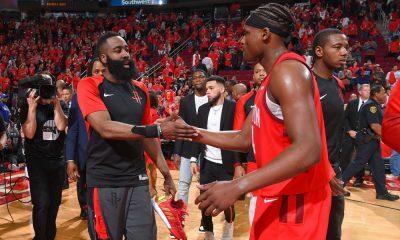 This morning, Grantland.com revealed a portion of their NBA Preview of the Houston Rockets where analyst Jalen Rose boldly predicted that Kevin Durant would leave Oklahoma City for Houston in a few years to join his good friend James Harden with the Rockets. According to ShamSports.com, Durant is under contract contract with the Thunder through the 2015-16 season, with no early termination option or other way to opt out of his contract before then. Meanwhile, the window for the Rockets to have significant cap room will most likely be limited to the summer of 2015, and that’s only if Houston does not elect to decline its 2014-15 team option on Chandler Parsons and re-sign him to a huge new deal. 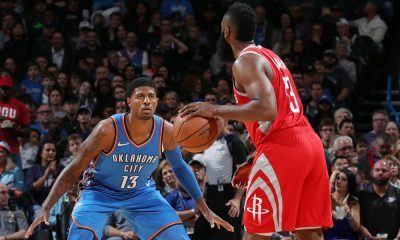 Assuming that Parsons receives a large contract (either in 2014 or 2015), the Rockets will not have nearly the salary cap space to sign Durant to anything remotely approaching what he can (and should) command on the open market: a maximum contract starting at no less than around $21.17 million (which is 105% of his 2015-16 salary). 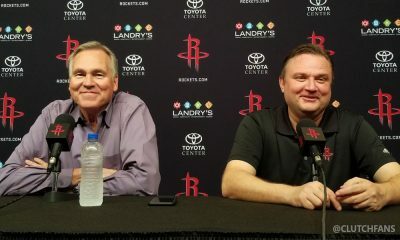 It is also likely that, rather than letting the contracts of Jeremy Lin and Omer Asik expire and losing them for nothing, the Rockets will either re-sign one or both of Lin and Asik or trade at least one of them (probably Asik), taking back additional salary in the process. Even if Durant’s contract ended in 2015, it would require a fairly significant increase in the maximum salary cap to be able to add Durant, even if he took a discount similar to the one Lebron James took with the Miami Heat in 2010. This even accounts for the Rockets being stripped bare, with just the contracts of Dwight Howard, Harden, and the miniscule cap holds for Parsons and Patrick Beverley remaining on the books. Just those four roster spots would occupy no less than $45.33 million (once you add in eight incomplete roster charges). 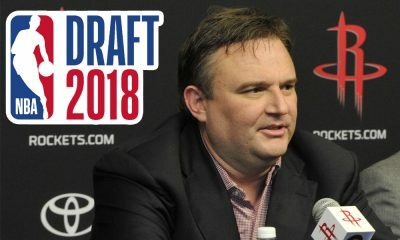 One way in which the Rockets could conceivably add Durant would be via a sign-and-trade deal, with Houston likely parting with Parsons, another significant player (not named Harden or Howard) and multiple draft picks. 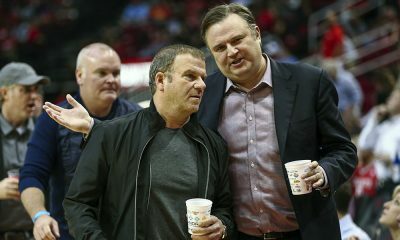 Even then, the Thunder might balk at any trade scenario for Durant–let alone one with a Western Conference rival–unless they were absolutely convinced that he would leave Oklahoma City without the Thunder receiving any compensation in the process. Also, don’t discount the fact that both Russell Westbrook–who Rose speculates could leave the Thunder for the Los Angeles Lakers–and Serge Ibaka are under contract with the Thunder through the 2016-17 season. Assuming Westbrook can fully recover from his knee injury, it would be hard to see Durant walking away from a team that sports another top-10 player in the league and another player who is an elite rim protector. 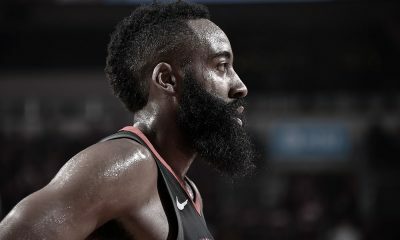 Bottom line: While Rose may be drawing a lot of attention with his prediction of Durant joining the Rockets, even a cursory look at the salary cap situations for both Houston and Oklahoma City reveals that such a move would be quite difficult to effectuate. 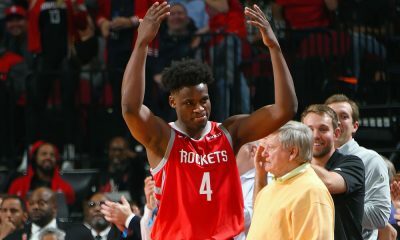 It sure won’t be for a lack of effort by Daryl Morey and the Rockets to make it happen, however. 2016 is a long ways away and a lot can change between now and then, but if you’re waiting anxiously for the Rockets to add Durant, well … don’t hold your breath.